Osmosis is the tendency of water in salt water to flow from an area of low salt concentration to an area of high salt concentration across a semi permeable membrane. Of course, osmosis applies to all solvents, not just water, and to all solutes, not just salt. I will discuss only water and salt for simplicity. Salt in solution comprises ions of chlorine and sodium, but I will refer to 'dissolved salt' for simplicity. A semi permeable membrane is a barrier that has holes large enough to allow molecules of water to pass but small enough to block the passage of the dissolved salt. In the example of the fresh water fish placed in the ocean, the water in the fish has a lower salt concentration than the surrounding ocean. The water in the fish moves through the semi permeable membrane (the cells of the gills of the living fish) from the area of low salt concentration (the fish) to the area of high salt concentration (the ocean). 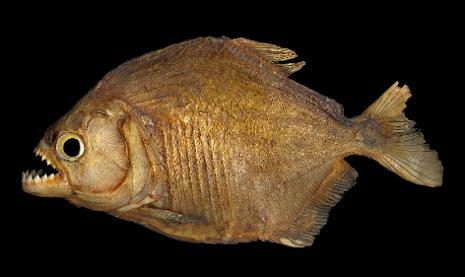 As a result, the fish dies of dehydration while surrounded by water. But how does this process actually work? The ions making up the dissolved salt in the salt water jiggle at random due to Brownian motion. The ions bounce against all of the boundaries of the salt water, including a free surface. The free surface is where the salt water meets the air. When the ions making up the salt bounce against the free surface, the jiggling ions press against the liquid water molecules at the free surface. The liquid water molecules at the free surface are bonded to all of the other liquid water molecules and pull on all of the liquid water molecules, including the pure water on the other side of the semi permeable membrane. The pressure exerted by the ions making up the salt bouncing against the free surface pulls water through the semi permeable membrane. In the case of the unfortunate fish, the free surface is the surface of the ocean. The effect is the same for any boundary that can move in response to pressure, such as, for example, a cell wall. G. Hulett outlined the above explanation of osmosis about a hundred years ago. It is simple, elegant, fully describes reality, and is all but forgotten today. Five years later, G.N. Lewis, one of the "Founders of Thermodynamics," launched a different and ultimately incorrect theory of osmosis. He theorized that salt in water alters the basic characteristics of the water, allowing pure water with characteristics not altered by the salt to push through the membrane. Lewis invented the terms "fugacity" and "activity" to describe the characteristics of the salt water that he believed were altered. Lewis did not explain the mechanism by which the salt altered the fugacity and activity of the salt water. Instead, he believed that fugacity and activity were simply physical characteristics, like mass and volume. 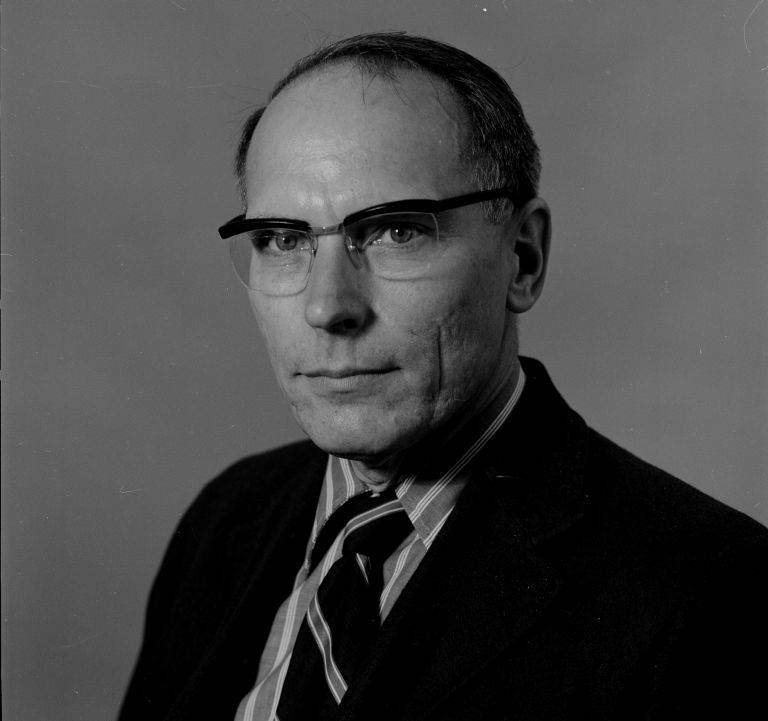 Lewis' explanation was widely adopted and values for fugacity and activity were developed empirically to allow engineers to design for osmosis. The fugacity and activity values are useful in the same way that the steam tables are useful - they provide an algorithm to allow industrial designers to design machines and processes. The tables of fugacity and activity are empirically derived and have no theoretical foundation. Lewis' theory adds nothing to the understanding of osmosis. Unfortunately, if you studied osmosis, you probably were taught Lewis' incorrect theory. The late Harold T. Hammel, Ph.D., had a long and distinguished career. At the time of his passing in 2005, he was a physiologist and emeritus professor of physiology at the University of California, San Diego and adjunct professor of physiology and biophysics at Indiana University. Dr. Hammel proved that Hullett was right and Lewis was wrong. He also extended Hullett's theory of osmosis to address the dynamic situation of living tissues of the human body and of diffusing solutes in moving solutions and changing concentrations of solutes, such as blood plasma. In a concrete application of his ideas, Dr. Hammel developed the first coherent explanation of high altitude pulmonary edema ("HAPE") at the molecular level. I prepared a patent application to address Dr. Hammel's understanding of HAPE. The purpose of the patent application is to provide a physical application of Dr. Hammel's ideas and to bring those ideas to the attention of engineers, biochemists, physicians and technologists who might not be exposed to Dr. Hammel's articles in scholarly journals. 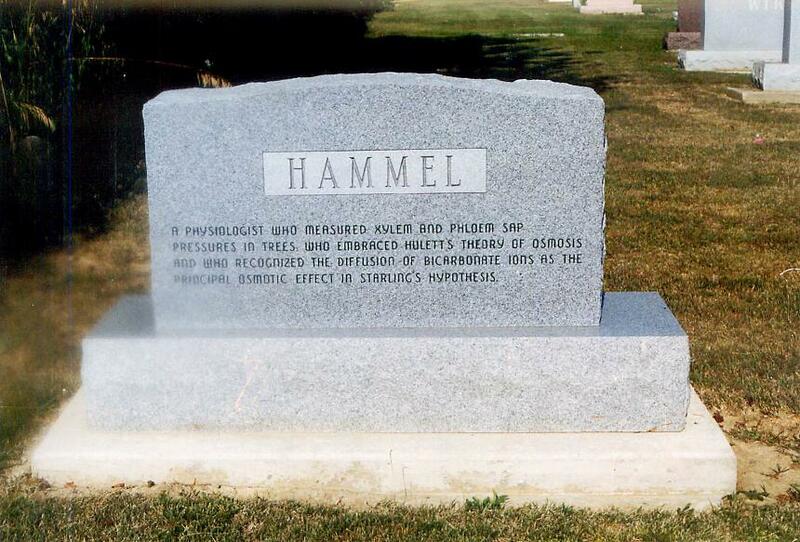 Dr. Hammel felt so strongly about his discoveries that he had a summary engraved on his headstone. The text reads: "A physiologist who measured xylem and phloem sap pressures in trees, who embraced Hulett's theory of osmosis and who recognized the diffusion of bicarbonate ions as the principal osmotic effect in Starling's hypothesis." Want to know more? For a succinct and rigorous explanation of osmosis, follow this link.